Have a look at this beautiful mockup of a catalog on a wall, there are plants in front of it as well. Drag-and-drop an image file over the interface and wait for a few seconds, you'll see how it gets merged automatically with the catalog. Impressive, right? 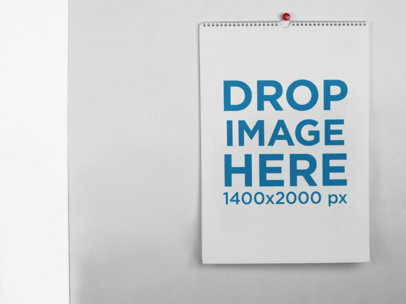 Try another Calendar Mockup here! 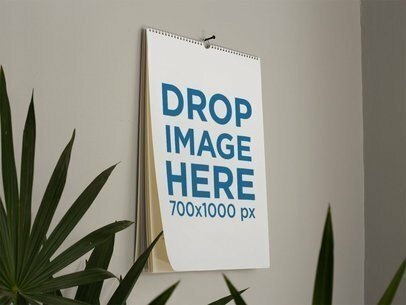 Check out this awesome template of a calendar on a wall with plants on the front, it's a really cool image that will help you build a much better image marketing. 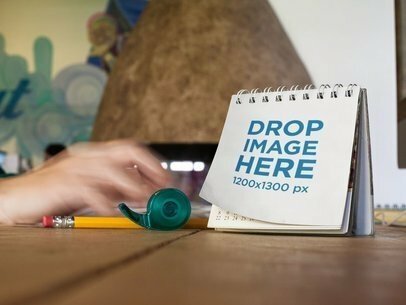 Start dragging and dropping your design image file now into the interface, after a couple of seconds you'll see how it gets merged with the calendar. Isn't it great? 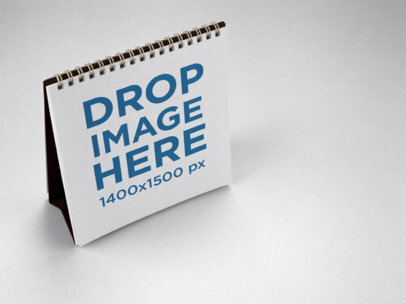 Try another Calendar Mockup here! 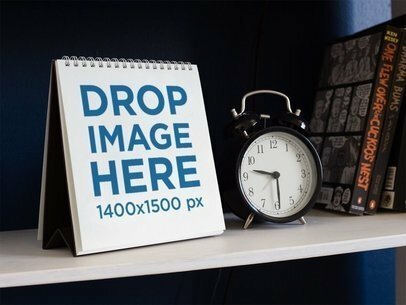 Have a look at this awesome mockup of a calendar standing near books and a small globe, it's lying against a wallpaper with letters on it. All you have to do is drag-and-drop an image file on the interface, we will process it in just seconds. Amazing, right? 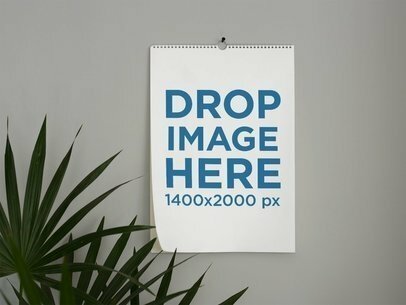 Try another Calendar Mockup here! 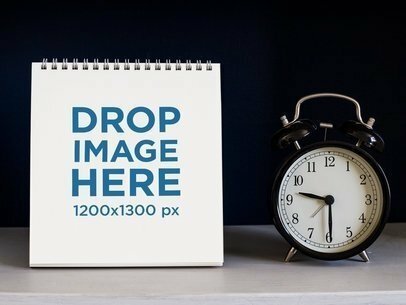 Check out this awesome mockup of a calendar standing near a vintage clock and some books, it's a really good image that will help you build a much better image marketing. All you have to do is drag-and-drop an image file of yours over the interface, we will merge it in just seconds. That's right! That's all the work you have to do. 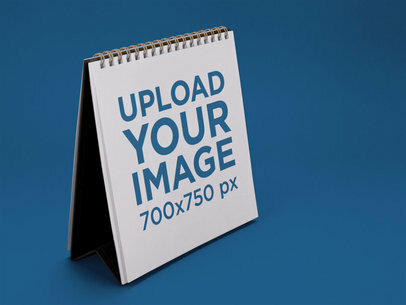 Try another Calendar Mockup here! 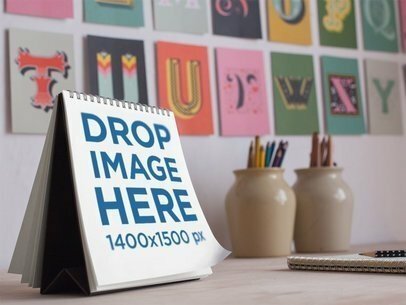 Showcase your latest calendar design with this awesome mockup of a calendar on a designer's desk, it's a really cool visual asset that will help you boost your sales at a glance! 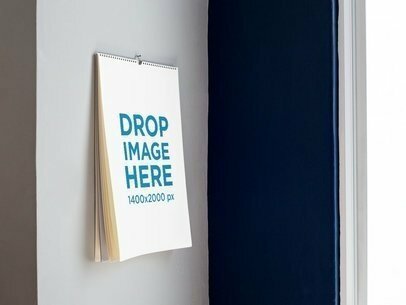 Drag-and-drop an image file on the interface, we will merge it for you in just seconds. Start using Placeit and see how your revenue grows! Try another Calendar Mockup here! 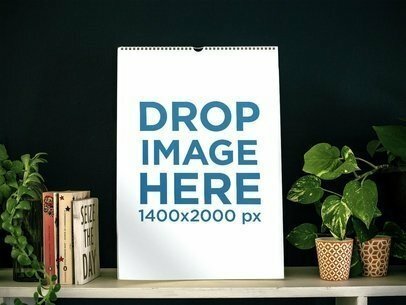 Check out this awesome template of a calendar standing on a white surface with a clock beside it, standing on a white surface against a black background! 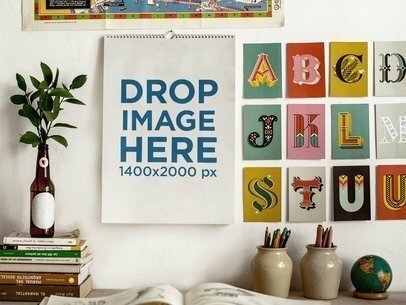 It's a gorgeous picture, you'll now be able to make your designs stand out! 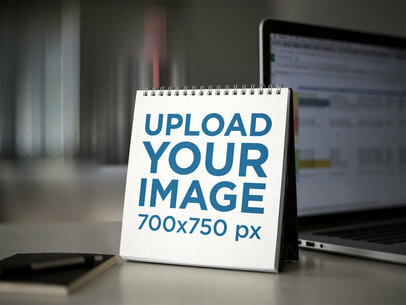 Drag-and-drop a jpeg or png file on the interface and see how it gets merged with this gorgeous mockup. Amazing, isn't it? 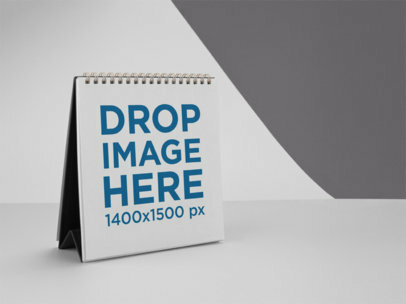 Try another Calendar Mockup here! 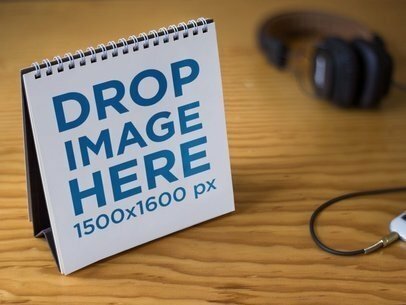 Check out this awesome template of a calendar on a wooden table near some headphones, it's a really awesome visual asset that will help you build a better image marketing. Start now using Placeit and make your revenue grow! All you have to do is drag n' drop an image file on the interface. 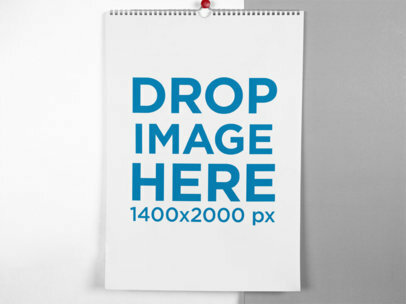 Try another Calendar Mockup here! Were you looking for a creative and beautiful way to showcase your latest logo designs? This is it! Placeit has a template that features a calendar standing on a table while surrounded by plants and some books as well. 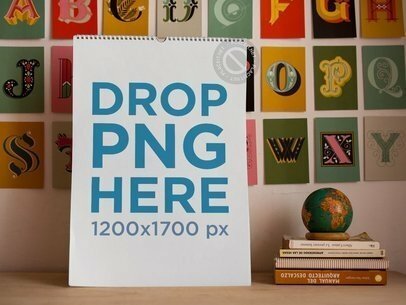 Drag-and-drop a jpeg or png on the interface and see how it gets merged with the image. After a few seconds you'll see the result image. Amazing, right? 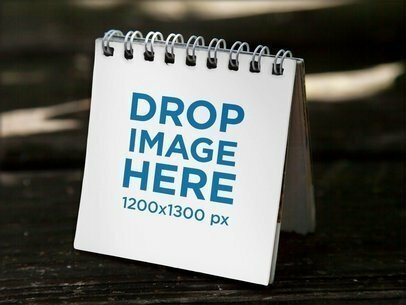 Try another Calendar Mockup here! 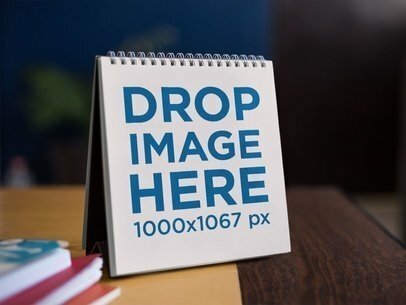 Check out this awesome mockup of a calendar lying on a wooden desk, there are other things on it as well. Start using it now! All you have to do is drag-and-drop a jpeg or png file on the interface, we will merge it for you in just seconds. Make your income grow with Placeit! 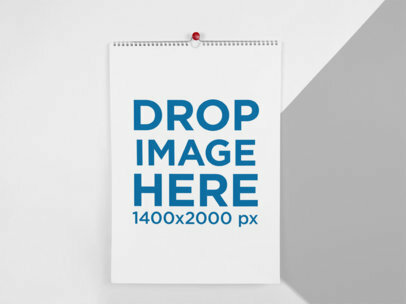 Try another Calendar Mockup here!